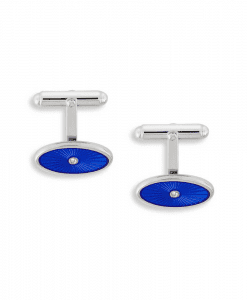 Vitreous Blue Enamel on Sterling Silver Oval Cufflinks. Set with White Sapphires. 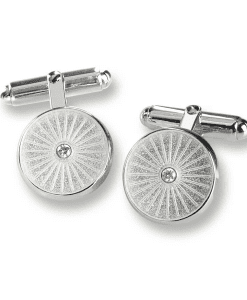 White Vitreous Enamel on Sterling Silver Round T-Bar Cufflinks. Set with White Sapphires.